The most powerful perspective in selling is to understand the emotional triggers that cause people to buy. If it is true (and it is) that we buy for emotional reasons and prove with logic then why do most salespeople sell benefits and features? If we can imagine that the buying trigger in the buyer’s brain is like a dartboard then features, benefits, price, convenience and packaging – all that good stuff – is on the dartboard. The bulls-eye, however, is the emotion the purchase satisfies. Find the emotional motivation, push that button, and your chance of selling increases tremendously. Buyer motivation starts with the buyer’s recognition (consciously or subconsciously) of a discrepancy between an actual situation and a desired situation. The result of this discrepancy is a need to change. When selling new products the best salespeople stimulate the desire for change by developing a compelling reason to buy. This is often called the value proposition. The compelling reason to buy does not equal your need to sell, nor does it equal your product or any of its features or benefits. The compelling reason to buy depends on the situation your prospect faces and how that situation changes when they buy. Individual, specific buyer situations motivate customers to buy—not product attributes. When customers become aware of a need, they look for products or services to help them get the need satisfied. They generally look for the most effective, convenient and affordable solution. The functional, emotional and social dimensions of the need are the circumstances that lead customers to buy. These circumstances can be categorized, and salespeople can target the sales pitch based on these categories. In most B2B purchases, the motive to buy is based on the economic consequences of either doing nothing or making an investment to exploit an opportunity or solve a problem. The motivation can be either plain to everyone involved or only understood and appreciated by the person putting up the money. Triggering the motivation to buy is the first step in the sales pitch. Understanding the trigger comes through market research, strategic questioning (listening) of the prospect or from experience. A large Volvo dealership in Vancouver, Canada has a very large ethnic Chinese customer base. The service manager told me that when a Chinese customer brings a vehicle in for maintenance that they would always stress the safety aspect of any recommended repair. ‘Safety’ for the majority of these buyers was a huge trigger and they would simply authorized work if the word safety was used. A cosmetic rejuvenation clinic that specializes in Botox, fillers and a variety of laser and chemical skin treatments focuses the conversation with all of the clients with words like ‘youth’, ‘energy’, ‘ vitality’ and of course a plethora of dramatic ‘before and after photos’. They sell the dream of regained youth! It is an old expression in selling: ‘Sell the sizzle, not the steak.’ But this is the power of emotional triggers. 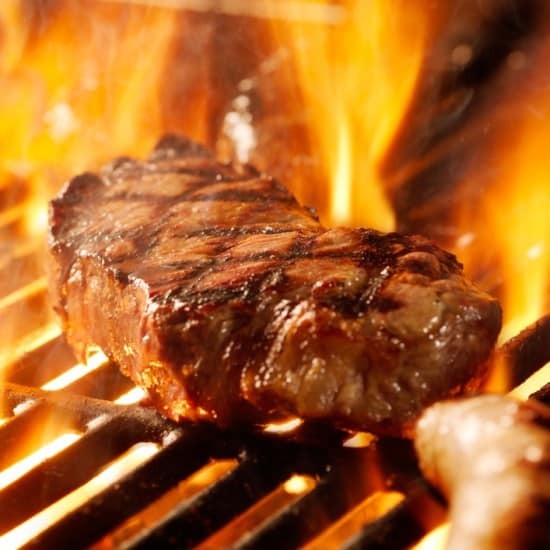 When we think about eating a steak we don’t think about protein and various amino acids that our body needs. We think, smell, flavor and taste! Very few salespeople invest the time to really understand what are the buying triggers. They talk features and benefits, features and benefits! The best salespeople focus on feelings – not features or benefits. The fact is that if you listen almost every prospect will tell you what need they want satisfied. We are all open books for those who care to look. Most people buy a product or service for just one of a few different reasons – we are not that different or unique as we care to imagine. Pay attention to what your prospects and customers say during the sales process. What is important to them? Look at their homes or office, look at the quality of what they own, look at how they dress, the words they use, consider their fitness level and grooming. Pull all of this information together and ask yourself what is important to this prospect, what motivates and drives them? Just to get rid of a problem? Do they want to be inspired? Once you have an understanding of the prospect’s emotional triggers then present your product in terms that are meaningful to that particular customer. In all areas of life you will find that there are really only about five or six main categories of buyers. In time, you will learn to quickly learn to categorise that prospect in front of you, then you give them the pitch they want! If they are a ‘qualified prospect’, meaning they have the need and the money – and you pull the right trigger – they will buy!